Bettas And Rasboras – Perfect Tank Mates? Finding the perfect tank mate for your betta can be difficult. Because it’s not just about ensuring they can survive in the same water together. But you also have to make sure they can co-exist with each other. If you get a fish that is too brightly colored or has long flowing fins, then your betta may attack them. If you get a fin nipper then they will stress your betta out. However, bettas and rasboras are almost perfect tank mates! 1 Why Are Bettas And Rasboras Great Tank Mates? 4 Will Bettas Get Along With Harlequin Rasboras? 9 So, Should You Keep Bettas And Rasboras Together? Why Are Bettas And Rasboras Great Tank Mates? Rasboras and bettas coexist together in the wild. Right off the bat, this is going to mean that they’re going to enjoy the same water conditions, such as pH and water temperature. But it also means that they’re feeding requirements, and the environment they like the most are going to be similar as well! Bettas and Rasboras both originate from South East Asia and live in rice paddies, river basins, and slow-moving water. So when you’re making your tank for them you should try to emulate those conditions as much as possible. 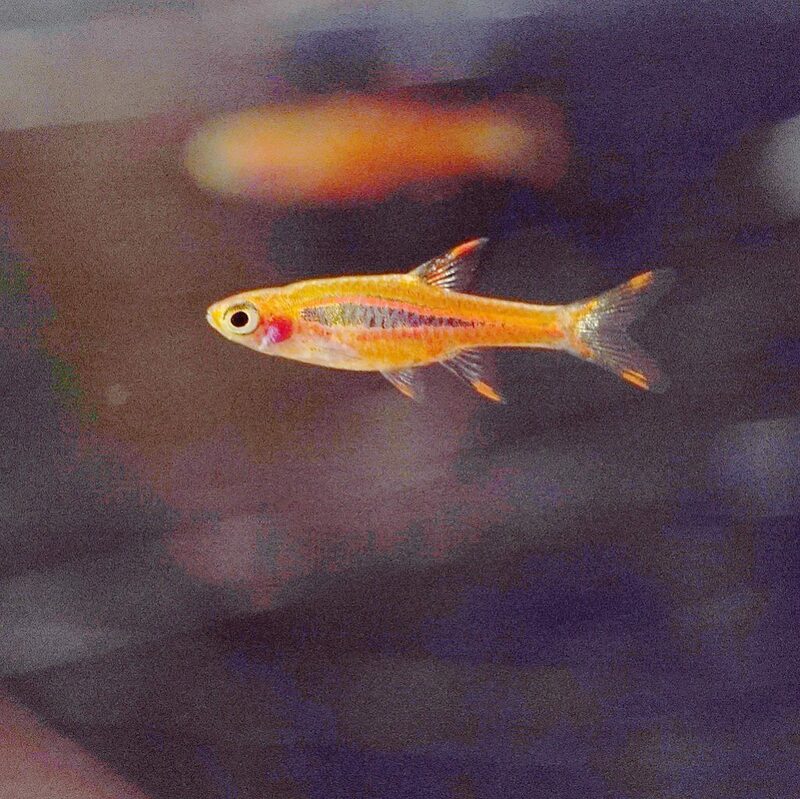 There are so many different types of Rasbora you can choose from. And some of them are going to get along with your betta a lot more than others. Here is a list of different Rasboras, including which ones you should and shouldn’t keep with your betta! 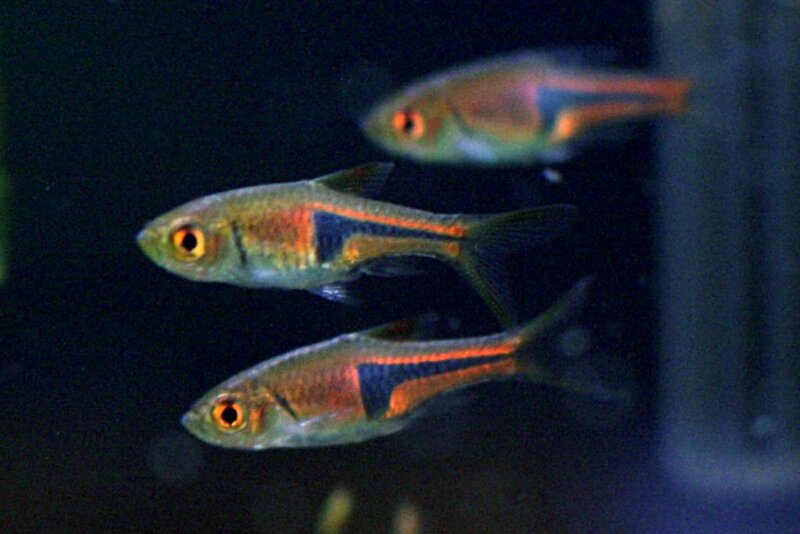 One of the most popular types of Rasbora is the Harlequin Rasbora. They are especially good for beginners because they’re quite hardy. However, they still look fantastic and the more experienced fish keeper will love them just as much! 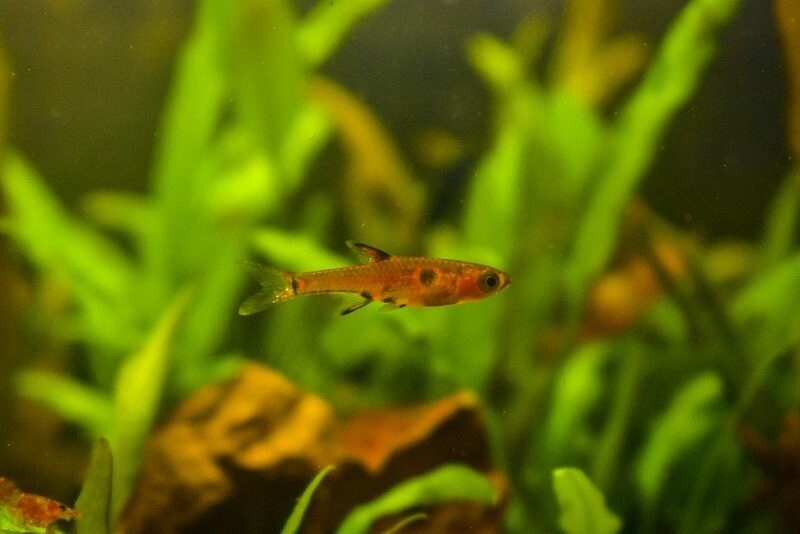 If you look after your Rasbora well enough then they will grow up to 2 inches in size and live for 6 years. The water conditions they need to live happily are similar to bettas. They can live in a pH between 6-7.5 (bettas need 7.0) and a water temperature between 73-82°F (bettas like 78°F). When it comes to diet, you should make sure you’re feeding your Harlequin Rasboras a variety of meat and plants. They’re omnivores which means they’re not going to be particularly fussy. Flake, dried, frozen and live food can all be used. It’s also important to know that Harlequin Rasboras are shoaling fish, so you should keep at least 8 together at as time. Will Bettas Get Along With Harlequin Rasboras? A common worry many betta owners have is whether their betta will attack other fish in a community tank. If your housing harlequin Rasboras with your betta the chances of them being attacked are quite slim. Rasboras are incredibly quick swimmers whereas bettas are slow. Even if your betta did try to attack your Rasboras, the chances of him catching them are very slim. However, on the other hand, while it is uncommon some Harlequin Rasboras could try and nip your bettas fins. If you notice this you may have to isolate the Rasbora that’s causing the problem or move your betta to another tank. Harlequin Rasboras make excellent tank mates for bettas. They both survive in the same conditions, and their peaceful natures and quick speed make it unlikely any hostility will break out between the two species. 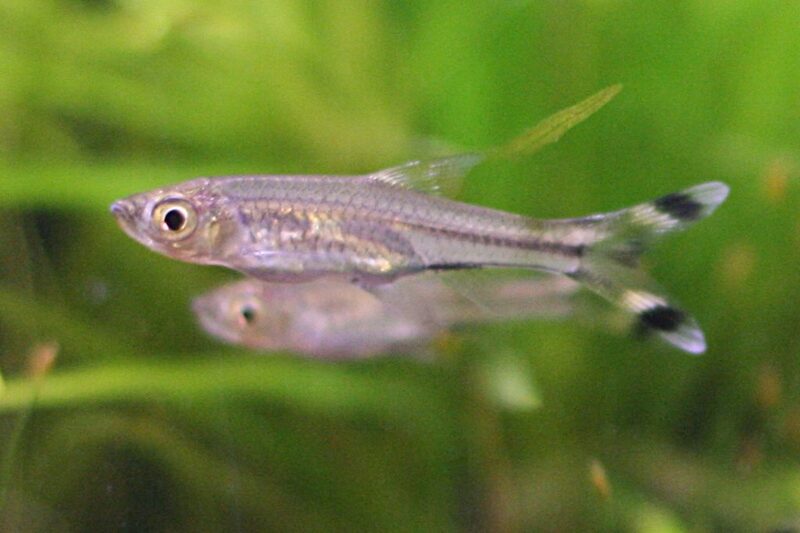 Next on the list is another popular breed of Rasbora. Unlike Harlequin Rasboras, Chilli Rasboras are much smaller only growing up to 0.8 inches in size. However, even though they aren’t the biggest fish they can still live for a long time. Up to 4 years! Chilli Rasboras are also shoaling fish, so you’ll need to keep them in a group with a minimum of 8-10 other rasboras. Because of this once again you’re going to need to keep them in a good sized tank. 15 Gallons might just be enough (check out this great 15-gallon tank), but personally, I wouldn’t go below 20 Gallons. Once again the food you should feed Chilli Rasboras will be similar to what you feed Bettas. They are omnivores, so make sure they’re getting a balanced diet. Frozen, dried, flakes and live food are all great choices. And because of their small size you’re food is going to get a lot further. You should also make sure you give Chilli Rasboras lots of places to hide. You’ll need to fill your tank with plants and ornaments to keep them as safe as possible. Bettas will eat anything that will fit in their mouth and unfortunately for Chilli rasboras, this may be the case. Lastly, Chilli Rasboras live in waters with a pH between 5-7 and a temperature between 76-82°F. It’s not impossible for Chilli Rasboras and Bettas to live together, however, there are much better Rasboras you can choose from. If you have your heart set on Chilli Rasboras then make sure you give them lots of places to hide and try to keep the light a little dimmer. This will imitate their natural habitat and make them feel more at home. Scissortail Rasboras are on the larger side when it comes to Rasboras. They can grow up to 3.5 inches in length and live for 5 years. Because of their large size and the fact they need to be kept in a minimum shoal size of 6 you’re going to need to use at least a 20-gallon tank. However, bigger is always better. If you do have a big enough tank then Scissortail Rasboras are a great choice. Because of their large size you don’t have to worry about them being eaten by your betta, and they aren’t going to be intimidated either. They have extremely peaceful temperaments, and just like the vast majority of Rasboras, they’re definitely community tank fish! When housing Scissortail Rasboras make sure to keep the temperature of the tank between 73-78°F and the pH between 6.6-7. However, if you’re a novice fish keeper then you may want to avoid Scissortails. They are harder to keep than other fish and good water quality is a must for them. In fact, you should try to match the water in your tank to where they’ve come from to lower the chance of them getting sick. As well as this because of their need for similar water matches, you should try to acclimatize them for as long as possible before introducing them to your tank. One issue that may pop up when housing Scissortail Rasboras with bettas is the filtration system. Bettas aren’t strong swimmers so they prefer. Once your Scissortail has acclimatized to the tank, you’ll also need the right decorations. Just like your betta, they’re going to love java moss and driftwood. However, they’ll adapt to almost any decoration in the tank. Lastly, when it comes to diet you should make sure you’re giving your Scissortail a good mixture. While the majority of their food should be insect-based (like in the wild) there should also be plant-based food in it as well. Frozen, dried, live and flakes can all be used. Lambchop Rasboras or “Espe’s” Rasbora are another great choice. They grow up to 1.2 inches in length and live for 3-5 years. So once you buy them they will be a lifelong friend for your betta. However, once again you’re going to need to keep a bigger tank if you plan on buying lamb chomp rasboras. Because they need to be kept in a school of 8 or larger! This is going to reduce their stress levels as well as keep them safe from your betta. While they won’t attack your betta their large school size will deter your betta from attacking them. And while you may notice that they fight amongst their own group, this fighting will rarely result in injury of any kind! This is also going to cause the males to appear much more colorful as they compete for the attention of any female rasbora in the tank! If you want Lambchop Rasboras then you need to make sure that the pH in your tank is between 6-7 and the temperature is between 73-80°F. These parameters also fall within the parameters necessary for bettas to survive. Also, you should be aware that Lambchop Rasboras need to fed a little bit more than bettas. You should feed them for 3 minutes 3 times a day. If you’re worried about your betta eating the food, then you should try to separate them or isolate your betta with a net when feeding. The best food to use remains similar to all the other Rasboras on this list as well. A mix of dried, frozen, flakes and live food are all great choices and as long as you remember to balance the amount of meat and vegetation your Lambchop Rasboras get, then they’re going to stay healthy! Last but not least are Dwarf Rasboras. They have a nice amount of color to them, but not enough to trigger your betta. And they’re also extremely peaceful. Because of their peaceful temperament, they are one of the best community fish you can have in a tank. However, be warned that they are also easily intimidated. 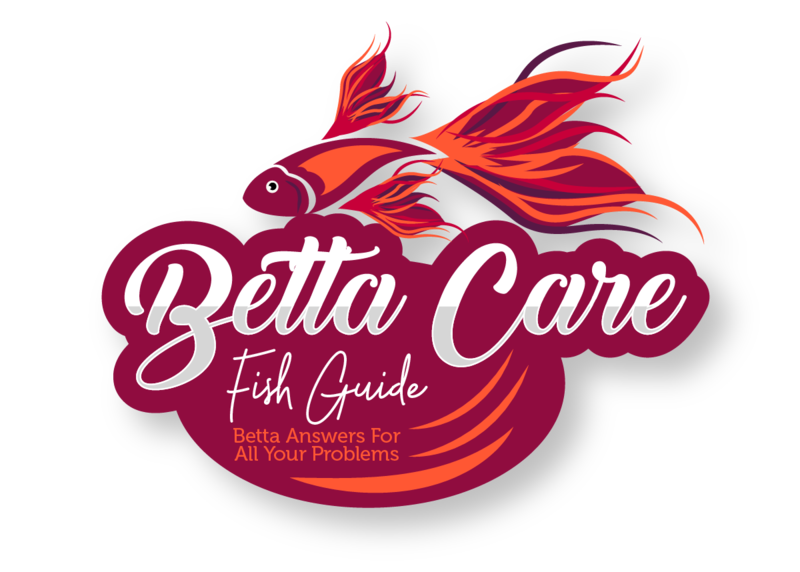 So if you even have the slightest suspicion that your betta is going to be aggressive then it may be a good idea to choose a different kind of Rasbora. And as you can guess by their name they’re also small Rasboras. If you plan on having dwarf Rasboras, it’s important to know that they’re only going to grow to around 0.8 inches. But that doesn’t mean you should put them in a smaller tank with your betta. Even though they don’t grow big you should still keep them in schools of at least 8. Anything smaller than that and they may begin to feel stressed and threatened. Just like other Rasboras, Dwarf Rasboras also live on average up to 3-5 years. So a group of them will live with your betta his whole life! Not only is this a nice sentiment, but it also means that you won’t have to worry about your betta acclimatizing to new fish constantly! Parameter wise Bettas and Dwarf Rasboras need similar conditions to thrive in. The Dwarf Rasboras ideal temperature falls between 75-79°F and they like a pH between 6.6-8. And lastly, if you do plan on keeping Dwarf Rasboras then it’s important to make sure you’re giving them the right nutrients! Food flakes and tablets with natural pigment enhancers are a great choice for Dwarf Rasboras as they will really make their color pop! And if your betta eats them the same thing will happen to him. However, make sure you’re also feeding them meat because that’s what they normally eat in the wild. Daphnia, bloodworms and mosquito larvae will work perfectly. And you can buy them frozen or fresh. When you’re feeding your Dwarf Rasbora you only allow them to eat for around 3 minutes twice a day. Otherwise, just like your betta they will eat and eat until they become constipated and sick! If you do plan on keeping Dwarf Rasboras with your betta then it’s important to know that your betta has a peaceful temperament. Otherwise, you should try sticking with larger Rasboras such as Scissortails. So, Should You Keep Bettas And Rasboras Together? As you can see Bettas and Rasboras make great companions. And this becomes more evident when you remember that they naturally live in the wild together. So if you’re not sure what fish to introduce to your betta then you should definitely consider Rasboras. If you’re a beginner fish keeper then you should stick to the Harlequin Rasboras and if you’re feeling more advanced then you should move onto Scissortail Rasboras or Dwarf Rasboras! If you have any more questions you can leave them in the comment section below otherwise have a great day! Mollies – Mollies are extremely hardy and peaceful fish, which means they’re going to be perfect for a betta tank. If you’re looking to stock your tank with more fish then you should definitely consider taking a look at Mollies. Platies – Like mollies, Platies are also another great choice. They are both livebearing fish, which means there is going to be plenty of food in your tank for your betta to eat. However, if you don’t want any babies in your tank then this article will let you know ways around it. Shrimp – While not fish, they are still great tank mates, and because of their small size you won’t have to buy a huge tank for them. There are a lot of different shrimps to choose from and all of them have their pros and cons! Snails – I don’t think tanks are complete without a couple of snails making sure everything stays clean. Find out what the best snails are for algae eating and what to do if your snail breeding gets out of control in this article! 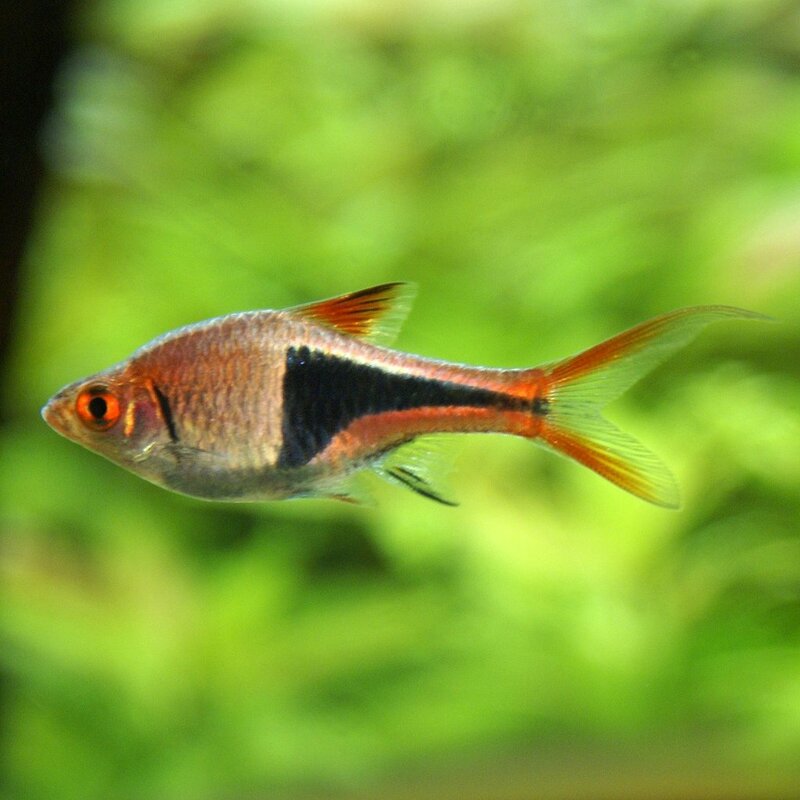 Tetras – Tetras are one of the most popular fish you can have in your tank. They are a staple of many tanks and that’s because of their hardy nature and good temperament. Check out everything you need to know about tetras and why they make such great tank mates. Can Amano Shrimp And Bettas Live Together? Can Betta Fish Live With Shrimp? Can Bettas And Mollies Live Together? Can Bettas And Platies Live Together? Can A Plecostomus And Betta Live Together? Can Glass Catfish And Bettas Live Together? Can Angelfish And Bettas Live Together? Can An Otocinclus And Betta Live Together? Can A Redtail Shark And Betta Live Together?